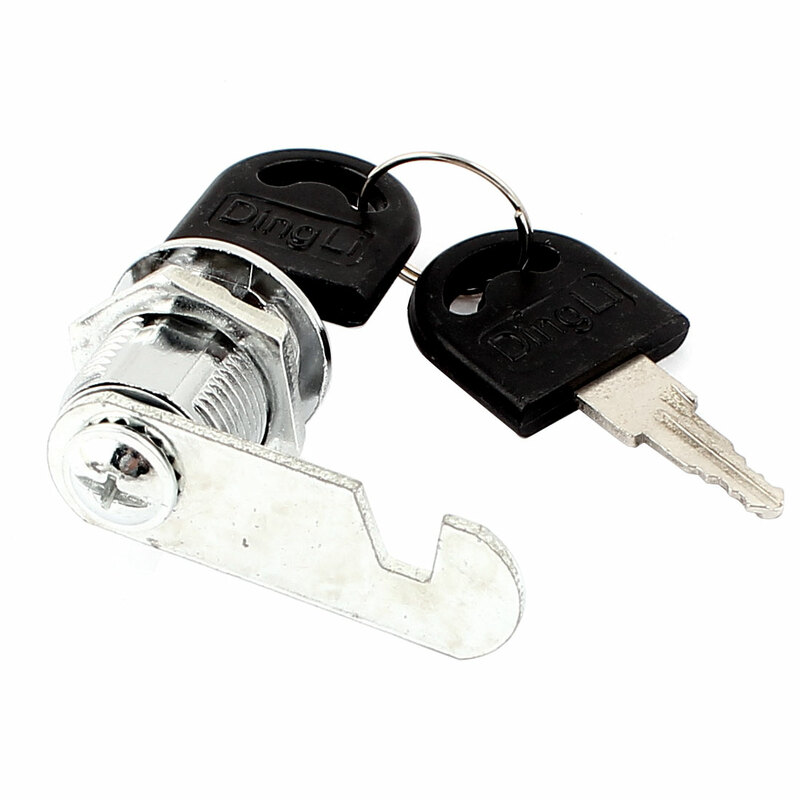 Hex nut, metal plate, cylinder lock, 2 keys included. Suitable for mailbox, drawer, cabinet, cupboard door or other furnitures. Panel Cutout Thread Dia: 18mm/0.7"; Fit Door Thickness: 15mm/0.6"